Grave of George Dromgold Coleman, deceased 1844. Coleman was the first Government Superintendent of Public Works in 1833. 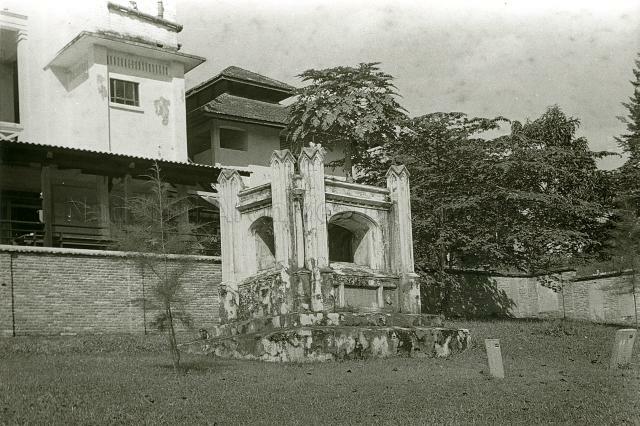 As such, he was Singapore's pioneer colonial architect who planned, surveyed, and built much of early Singapore. He was buried at the Christian Cemetery at Fort Canning Hill.